Hi Loves! We're so excited with this post cos we got so many interesting stuff we'd like to share here.. For today *Specials* we want to share the latest trend in the bakery world - Rainbow cake! 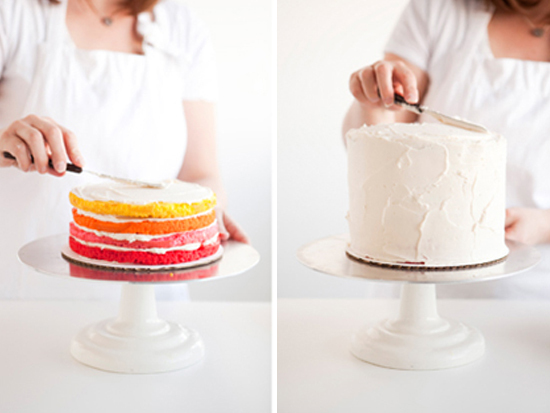 Thanks to Sugar and Charm's lovely posting on these gorgeous cake at One Charming Party! 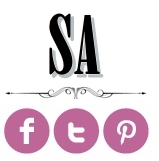 Good part is - its not that difficult to make these! let's begin! 1. Divide your cake batter into 8 different bowls. 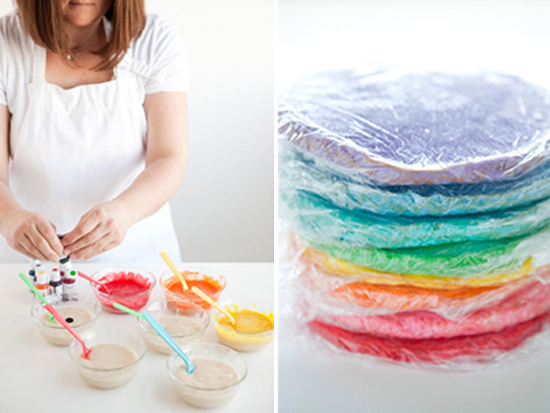 Color each bowl of batter a different color. Our colors are: red, pink, orange, yellow, green, light blue, dark blue, and purple. Bake each layer in an 8″ or 9″ round pan. You will take turns using the pan over and over with different colors. Unless you have 8 round pans. Make sure to grease and flour your pan or put a round of parchment in the bottom to prevent sticking. Let each cake cool slightly before removing. Turn out onto a cooling rack to finish cooling. 2. Once the cakes have cooled completely, freeze each layer individually wrapped in plastic. This will make it easier to assemble and frost the cake. 3. 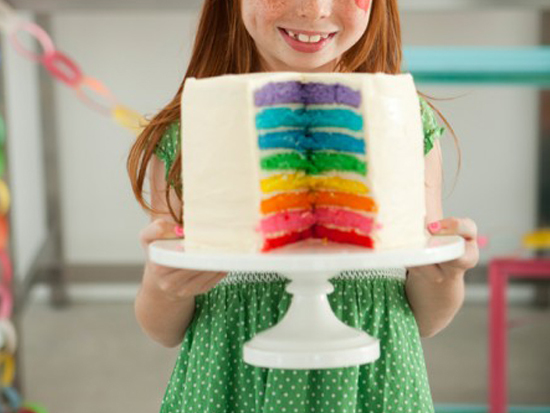 Once the cakes are frozen you can start layering your cake in a rainbow pattern, putting frosting in between each layer. 4. Frost the outside of the cake as well.